When will be Reasonable Doubt next episode air date? Is Reasonable Doubt renewed or cancelled? Where to countdown Reasonable Doubt air dates? Is Reasonable Doubt worth watching? In Reasonable Doubt, two investigators re-examine controversial murder cases to help the desperate families of those convicted decide if it's time to appeal... or accept the guilty verdict once and for all. In 1988, Virginia Wells was arrested for murdering her parents for money. Chris and Fatima investigate if she's serving time for a crime she did not commit. Scott Davis' past caught up to him when he found himself on trial for murdering his estranged wife's new boyfriend 10 years earlier. Now his family has called in Chris Anderson and Fatima Silva to investigate what they believe is a miscarriage of justice. In Dayton, Ohio in 1991, 15-year-old David Clark was convicted of setting a house on fire that killed a 12-year-old girl. Now, two of his sisters have called Chris and Fatima in to investigate and help them prove this was a wrongful conviction. Jerome Scott is found stabbed to death in his home; 16 years later, police move in on his ex-wife, Patricia Wright, claiming she killed him for money; now, Wright's sister and daughter are on a crusade to prove the wrong person is behind bars. 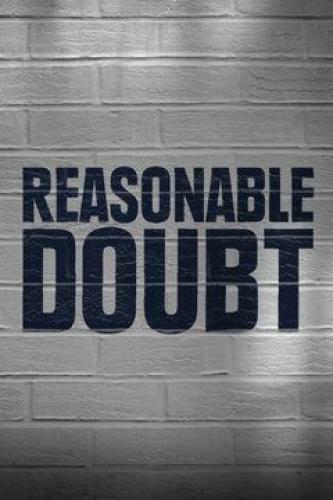 Reasonable Doubt next episode air date provides TVMaze for you. EpisoDate.com is your TV show guide to Countdown Reasonable Doubt Episode Air Dates and to stay in touch with Reasonable Doubt next episode Air Date and your others favorite TV Shows. Add the shows you like to a "Watchlist" and let the site take it from there.